Eat all the carrots you want. Your eyes still can’t match the power of thermal imaging. Need proof of how well FLIR’s infrared technology works? Compare the views of the same bridge abutment (above): on the left as viewed with the naked eye, on the right using infrared technology. We’ve all brought a flashlight up on deck at one time or another. Sometimes it’s for the innocuous task of illuminating the reflectors on a mooring ball; other times it’s to serve as a more serious tool that can identify the source of a splashing sound or a breaking wave. But even a two-foot-long Maglite doesn’t always give you the brightness or range required to properly identify an object, and when it comes to collision avoidance, by the time a hazard is lit and identified, it can often be too late. The heart of the system is a Micro Electronic Machine Systems (MEMS) sensor, which Teich explains, “is essentially a tiny machine etched into silicon, done at the chip level.” (MEMS sensors are also found in high-volume consumer goods such as the Nintendo Wii and the iPhone.) The etched silicon measures temperature instead of luminosity, then transduces the temperature readings into an electrical signal that is subsequently converted into an image. In other words, you get a picture of heat. 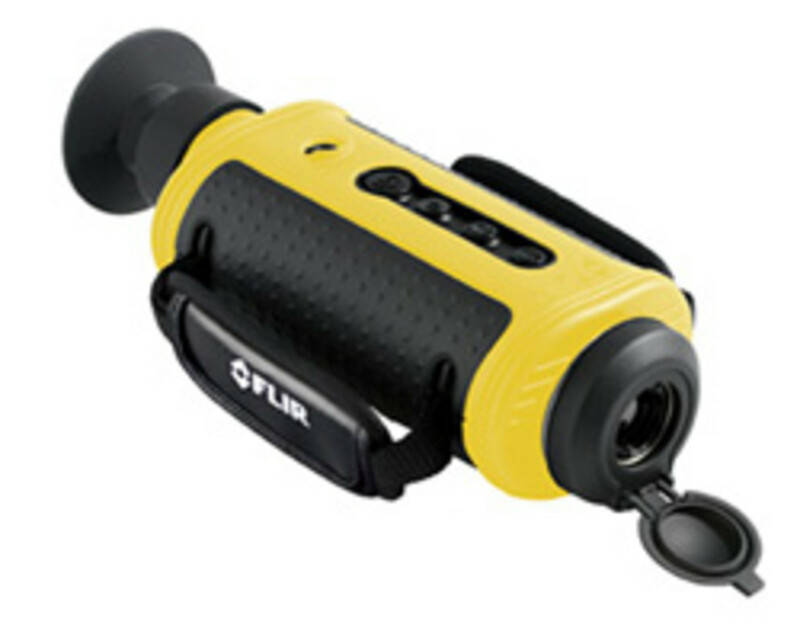 The handheld First Mate is the most recent addition to FLIR’s infrared product line. 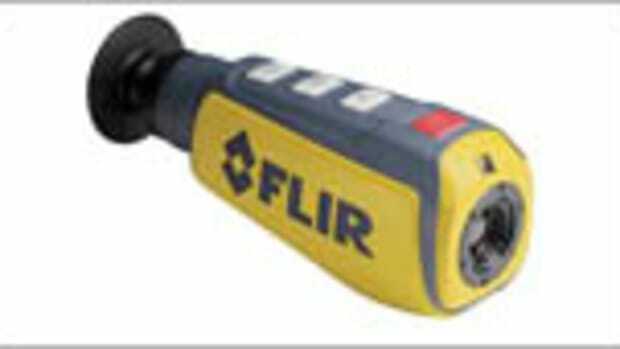 Although FLIR only entered the recreational boating market in 2006, its technology is far from new. 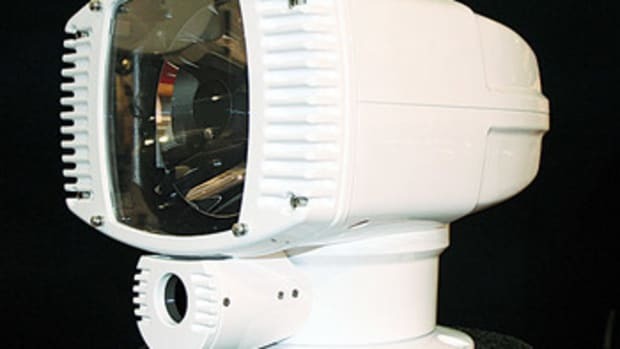 Indeed, the company can trace its roots in thermal imaging back to the acquisition of the Swedish company Agema in 1965; the U.S.-based FLIR has been building infrared gear for the military since 1978. Prior to entering recreational boating, it produced cameras for the commercial maritime industry as well as for the automobile industry in a partnership with the German automaker BMW. For a little more money you can have the company’s law-enforcement model, which will soon be available to the public. It has a higher sensor resolution of 320x240 and will retail for between $5,000 and $6,000. If that price seems a little high, it’s because the cost of manufacturing the sensors is inversely proportional to units sold. According to Teich, as infrared technology becomes more common in more kinds of applications, you’ll see the price drop substantially. 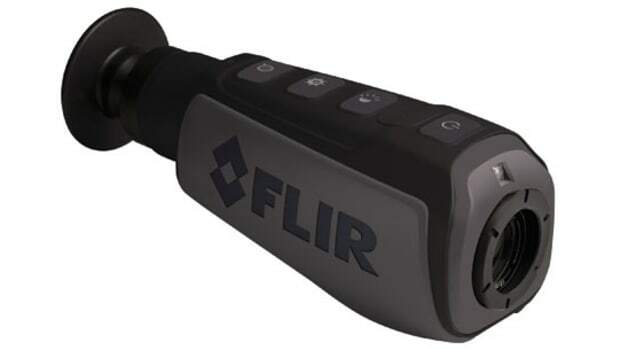 But even at nearly $3,000, a FLIR camera would easily pay for itself if it helped you avoid just one collision. 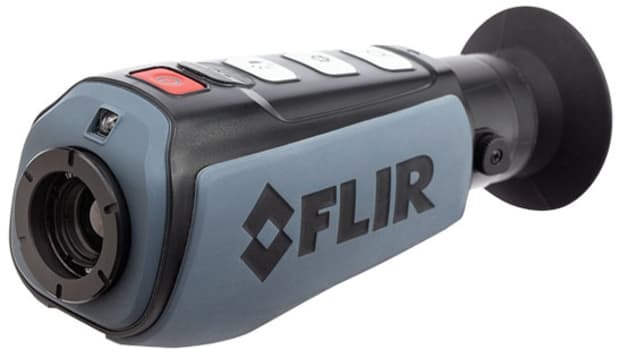 And because the First Mate is portable, you can also use it for non-marine tasks like finding thermal footprints from a leaky household door or window or even from a worn bearing in your automobile’s engine. 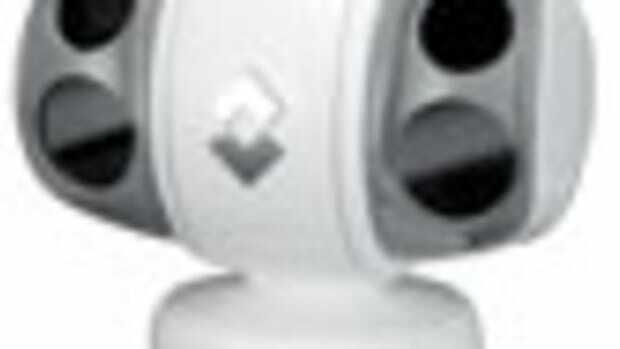 The M-Series, which came out in early 2009, has both video and infrared sensors. The next step up from the First Mate is the Navigator II. It is a direct descendant of the company’s first marine product. The Navigator II comes in a static, fixed-mount version ($5,000) as well as in a swivel-mount setup ($9,000). Since the latter version does not have slip ring, its turning radius is limited to 270 degrees. Both versions come with 2x electronic zoom but the swivel-mount has polarity buttons (to make heat appear as either black or white, depending on your preference). The joystick control unit (JCU) on the moveable model is simple to use and pans at a fixed rate. For more panning sensitivity, better zoom, and the ability to pan up and down, you’ll have to move up to the M-Series, which debuted earlier this year. 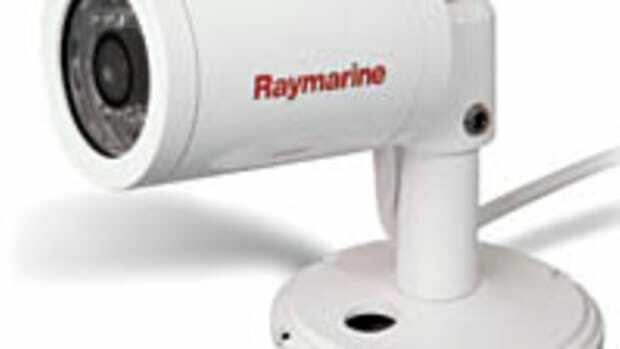 At just over 11-inches high and seven inches in diameter, this unobtrusive device fits nicely onto the radar arch or hardtop of most yachts. 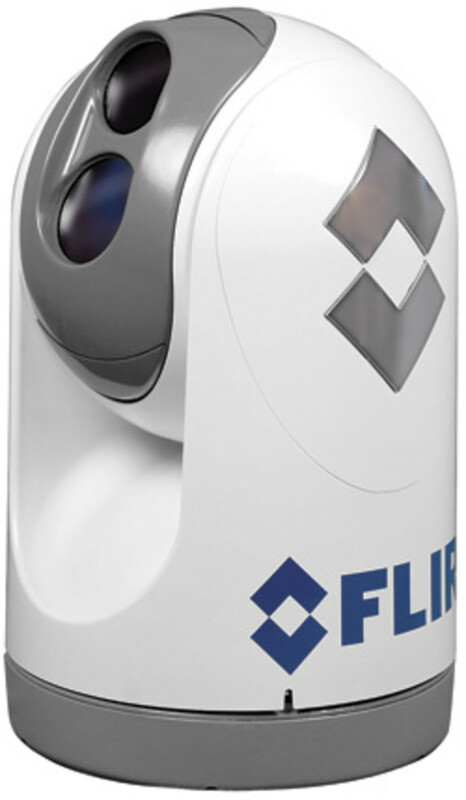 The ball-on-ball design not only prevents water intrusion, it also provides a smooth and modern look, thanks to countless hours of work from FLIR’s industrial-design team. 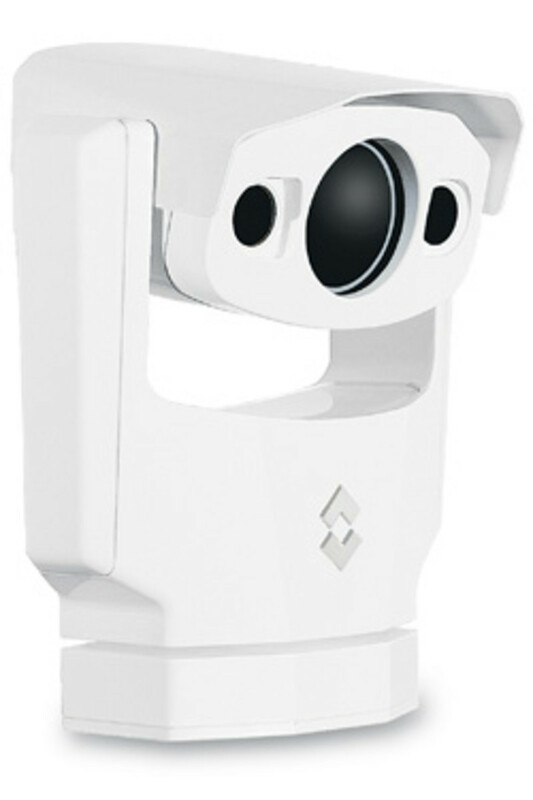 The M offers a 360-degree field of view, pressure-sensitive JCU (the more pressure you apply, the quicker the pan), and is the lowest-priced FLIR to offer a low-light TV camera. The resolution has also been improved with this series; the top model’s rating of 640x480 resolution qualifies it as VGA. And because that’s four times the pixels of the Navigator II, you’ll have improved zoom capabilities as well, all the way down to 6.5 degrees. This version retails from around $20,000, while the 320x240 M-Series starts at about $15,000. 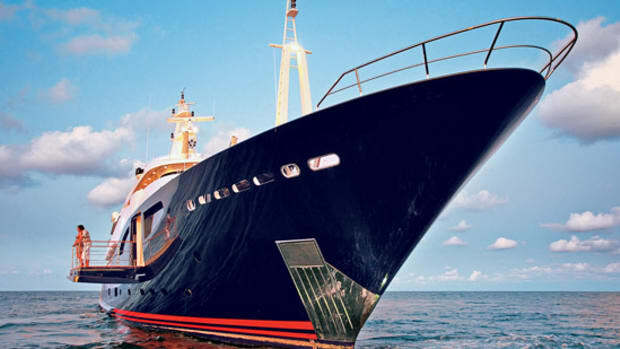 The Voyager II is aimed at the megayacht market and includes features like radar integration. Once you pass this level, the price jumps to $80,000 for the Voyager II. The reason for the big increase? Four sensors (a wide-view infrared, a 5-degree zooming infrared, a 48x zoom low-light video, and a 48x zoom color video camera), beefier aluminum components, and the most important factor of all, gyroscopic stabilization. “We’ve aimed this at the megayacht market,” Teich says, “and sold quite a few.” The coolest feature of the Voyager II is its slue-to-cue radar integration, which automatically focuses the camera on objects picked up by the radar. (Pirates, be warned!) The camera also has a “fovial view,” like that of the human eye, so images in the center are higher resolution (thanks to the zoomable camera) while those on the edges are blurrier, intended for situational awareness. 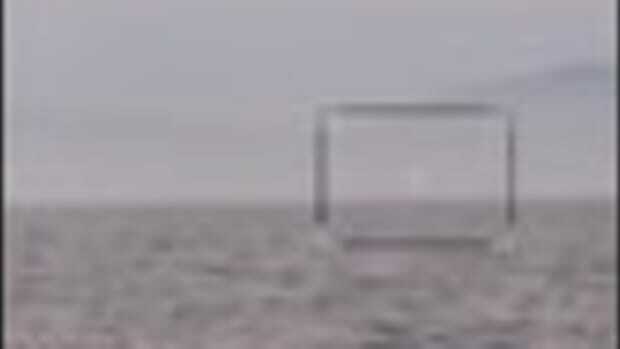 Beyond this camera are FLIR’s nitrogen-cooled imaging units, like the SeaFLIR whose practical zoom is limited only by the curvature of the earth. Due to these units’ high level of technology, the U.S. Department of State places the same export restriction on this item as it does on Hellfire missiles. That means that if you install a SeaFLIR on your vessel, you’re banned from visiting certain ports. 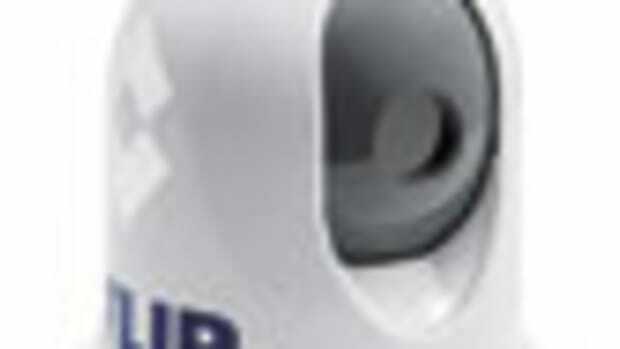 FLIR now offers thermal-imaging cameras for every kind of vessel and every budget. Whether you use yours to negotiate a hair-raising approach to a dark anchorage or to help you recover a soggy crewmember who’s gone over the side, you’ll agree with Tiech’s view that no vessel should go to sea without one aboard. And he should know. After all, his company is all about seeing where others cannot. This article originally appeared in the January 2010 issue of Power & Motoryacht magazine. Can Infrared See Through Fog?